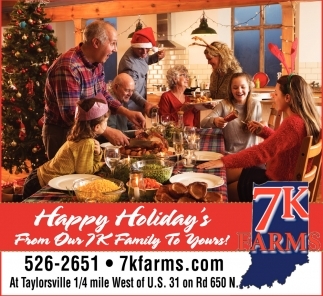 There's So0mething For Everyone Here! 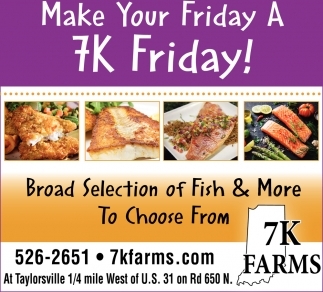 Make Your Friday A 7K Friday! 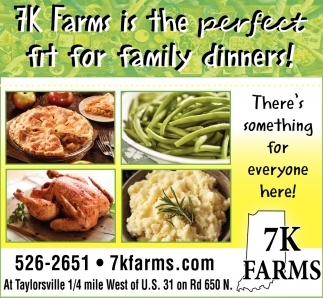 Find A Gift Basket For Everyone At 7K Farms! 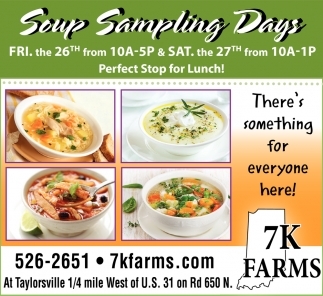 There's Something For Everyone Here! 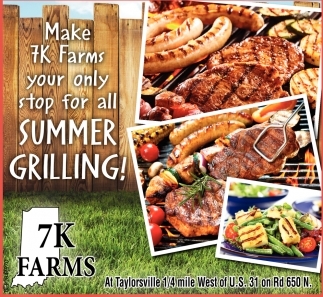 Make 7K Farms Your Only Stop For All Summer Grilling! 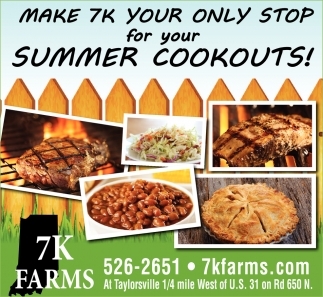 Make 7K Your Only Stop For Your Summer Cookouts! 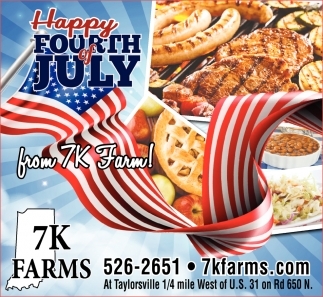 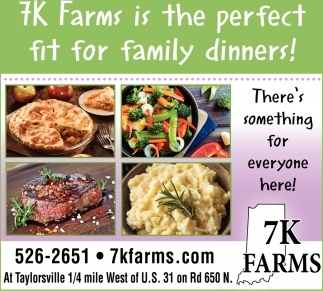 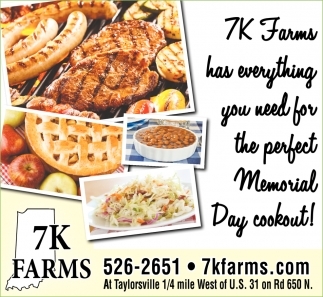 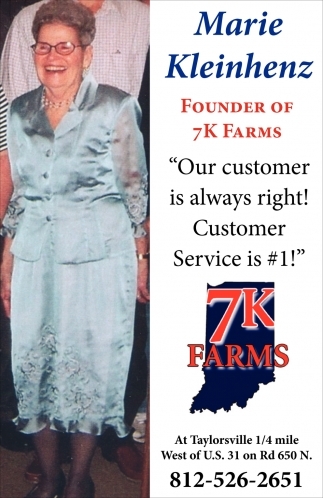 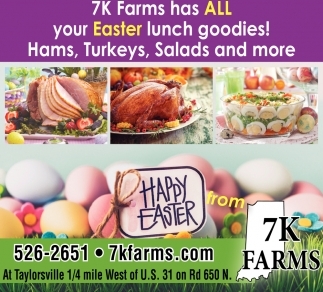 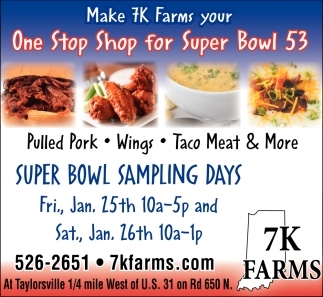 7k Farms Is The Perfect Fit For Family Dinners! 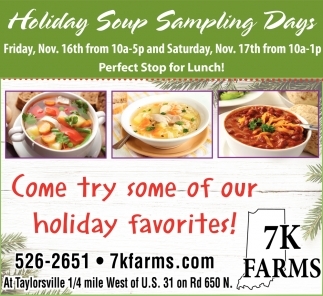 1/4 mile West of U.S. 31 on Rd 650 N.